HEATED SEATS, HEATED STEERING WHEEL, HANDS-FREE POWER LIFTGATE, REMOTE START, REAR VIEW CAMERA, BLUETOOTH CONNECTIVITY, CLIMATE PACKAGE. 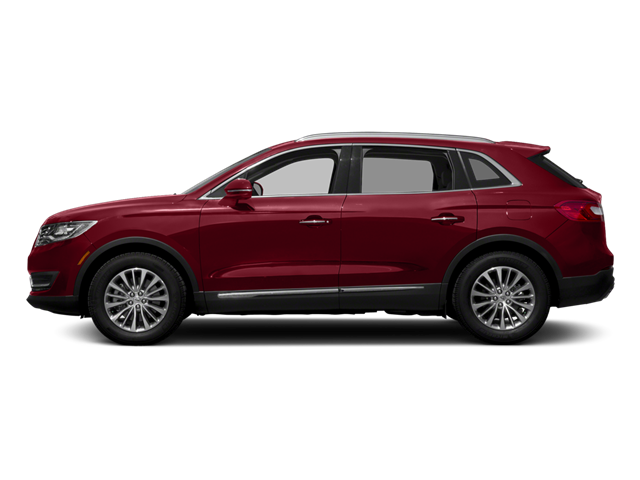 2018 Lincoln MKX that is super sharp looking and ready to drive home! The second row seats can fold with a touch of a button for those times you need to get something extra large home. Plus, your rear seat passengers will appreciate their very own heated seats and rear air vents. Up front, you get Automatic Dual Zone Climate Control, Heated Steering Wheel, Heated Seats and very comfortable seats. The radio is equipped with AM-FM-Sirius Satellite Radio-CD player and the SYNC system with USB inputs along with Bluetooth Connectivity. Excellent Condition, GREAT MILES 16,567! NAV, Heated Leather Seats, iPod/MP3 Input, Back-Up Camera, Satellite Radio, SINGLE-CD PLAYER, SELECT PLUS, ENGINE: 3.7L TI-VCT V6, WHEELS: 20" POLISHED ALUMINUM. SELECT PLUS BLIS Blind Spot Info System w/Cross Traffic Alert, Navigation System, SiriusXM Traffic and Travel Link, Service not available In AK/HI, WHEELS: 20" POLISHED ALUMINUM dark tarnish painted pockets, Tires: 245/40 R20, SINGLE-CD PLAYER, ENGINE: 3.7L TI-VCT V6 (STD). Lincoln Select with Black Velvet exterior and Ebony interior features a V6 Cylinder Engine with 305 HP at 6500 RPM*. LOCAL TRADE! CLEAN AUTOCHECK! Pricing analysis performed on 12/14/2018. Horsepower calculations based on trim engine configuration. Please confirm the accuracy of the included equipment by calling us prior to purchase. Navigation System, Select Plus Package, Continental Climate Package, Revel Audio System, Remote Start. 2017 Lincoln Continental with the Select Plus Package that is ready for you to drive home! Awesome merging power since the 3.7 liter V6 engine pumps out 305 Horsepower. Super Comfortable seats in all seating positions...plus the Front and Rear Seats are Heated. The Steering Wheel is Heated as well. The Radio is equipped with AM-FM-Sirius Satellite Radio and the SYNC system with USB inputs along with Bluetooth Connectivity. You also get the Revel Audio System that sounds awesome! Other features include Ambient Lighting, BLIS (bling spot monitoring) with Cross Traffic Alert, Auto High Beams and Rain Sensing Wipers. Here at Lincoln Square of Mount Vernon our customer satisfaction is always above the national average. With over 200 Pre-Owned vehicles in stock at all times, we try to have something for everyone. Give us a call at (618) 241-0418 or visit our showroom at 1501 Broadway Street in Mount Vernon to experience the Roy Schmidt Difference TODAY! LINCOLN MKC TECHNOLOGY PACKAGE Adaptive Cruise Control & Collision Warning, brake support, Active Park Assist, Forward Sensing System, Lane-Keeping System, THX II BRANDED AUDIO SOUND SYSTEM 14 speakers, HD Radio, CONTINUOUSLY CONTROLLED DAMPING (CCD) SUSPENSION, LINCOLN MKC CLIMATE PACKAGE Heated Steering Wheel, Heated Rear-Seats, Rain-Sensing Wipers, Windshield Wiper De-Icer, Auto High Beams, WHEELS: 19" PREMIUM PAINTED ALUMINUM Tires: P235/45R19, ENGINE: 2.0L GTDI I-4 (STD). Serviced here, Non-Smoker vehicle, CLEAN AUTOCHECK! Excellent Condition, GREAT MILES 248! NAV, Heated Leather Seats, Sunroof, Turbo, Back-Up Camera, Satellite Radio, Power Liftgate, All Wheel Drive, WHEELS: 20" POLISHED ALUM W/EBONY PAI... LINCOLN MKC TECHNOLOGY PACKAGE. Navigation, All Wheel Drive, Power Liftgate, Back-Up Camera, Satellite Radio. LINCOLN MKC TECHNOLOGY PACKAGE Adaptive Cruise Control & Collision Warning, brake support, Active Park Assist, Forward Sensing System, Lane-Keeping System, WHEELS: 20" POLISHED ALUM W/EBONY PAINTED POCKETS Tires: P255/40R20, ENGINE: 2.3L GTDI I-4, WHITE PLATINUM METALLIC TRI-COAT, EQUIPMENT GROUP 300A RESERVE, EBONY, PREMIUM HEATED/COOLED LEATHER-TRIMMED BUCKET SEATS micro perforated seats, 10-way power driver seat w/2-way power lumbar and memory, 10-way power passenger seat w/power lumbar, seatback map pockets and 4-way adjustable head restraints. Lincoln Reserve with White Platinum Metallic Tri-Coat exterior and Ebony interior features a 4 Cylinder Engine with 285 HP at 5500 RPM*. Serviced here, Non-Smoker vehicle, CLEAN AUTOCHECK! Pricing analysis performed on 8/14/2018. Horsepower calculations based on trim engine configuration. Fuel economy calculations based on original manufacturer data for trim engine configuration. Please confirm the accuracy of the included equipment by calling us prior to purchase. GREAT MILES 10,013! Heated Leather Seats, Navigation, All Wheel Drive, Power Liftgate, Back-Up Camera, ENGINE: 2.7L GTDI V6, SELECT PLUS PACKAGE, Turbo Charged, Alloy Wheels. ENGINE: 2.7L GTDI V6 3.39 Axle Ratio, SELECT PLUS PACKAGE BLIS (Blind Spot Information System), cross-traffic alert, Navigation System, SYNC 3 pinch-to-zoom capability, SiriusXM Traffic and Travel Link, Service not available in Alaska/Hawaii. Lincoln Select with Black Velvet exterior and Cappuccino interior features a V6 Cylinder Engine with 335 HP at 5500 RPM*. ONLY 17,705 Miles! NAV, Sunroof, Heated Leather Seats, All Wheel Drive, Panoramic Roof, Alloy Wheels, LINCOLN MKX TECHNOLOGY PACKAGE, DRIVER ASSISTANCE PACKAGE, ENGINE: 3.7L TI-VCT V6. DRIVER ASSISTANCE PACKAGE Adaptive Cruise Control, Pre-Collision Assist w/Pedestrian Detection, collision warning, brake support and active braking, Adaptive Steering, Lane Keeping System, lane-keeping alert, lane-keeping aid and driver alert system, LINCOLN MKX TECHNOLOGY PACKAGE Active Park Assist, 360 Degree Camera, Front Park Aid Sensors, ENGINE: 3.7L TI-VCT V6 (STD). Lincoln Reserve with Midnight Sapphire Blue Metallic exterior and Ebony interior features a V6 Cylinder Engine with 303 HP at 6500 RPM*. HEATED SEATS, HANDS-FREE POWER LIFTGATE, REMOTE START, REAR VIEW CAMERA, BLUETOOTH CONNECTIVITY. 2016 Lincoln MKX that is super sharp looking and ready to drive home! Plus, your rear seat passengers will appreciate their very own rear air vents. Up front, you get Automatic Dual Zone Climate Control, Heated Seats and very comfortable seats. The radio is equipped with AM-FM-Sirius Satellite Radio-CD player and the SYNC 3 system with USB inputs along with Bluetooth Connectivity. Serviced here, Non-Smoker vehicle, CLEAN AUTOCHECK! Excellent Condition, GREAT MILES 12! PRICE DROP FROM $47,985. Sunroof, Heated/Cooled Leather Seats, NAV, SONATA SPIN ALUMINUM TRIM PACKAGE , ENGINE: 3.0L GTDI V6, Back-Up Camera, Turbo, LUXURY PACKAGE, TECHNOLOGY PACKAGE. LUXURY PACKAGE Revel Ultima Audio System w/20 Speakers, Premium LED Headlights, PANORAMIC ROOF, ENGINE: 3.0L GTDI V6 Transmission: 6-Spd SelectShift Automatic, TECHNOLOGY PACKAGE Adaptive Cruise Control w/Stop & Go, Pre-Collision Assist, Windshield Wiper De-Icer, Enhanced Active Park Assist System, Forward Sensing System, Rain Sensing Wipers, Pedestrian Detection, Lane Keeping System, CLIMATE PACKAGE Heated Steering Wheel, Windshield Wiper De-Icer, Heated Rear-Seats, Rain Sensing Wipers, Auto High Beams, MULTI-CONTOUR FRONT SEATS W/ACTIVE MOTION 11-bladder, WHEELS: 19" POLISHED MACHINED-ALUMINUM painted pockets, ALL-WEATHER FLOOR MATS, SONATA SPIN ALUMINUM TRIM PACKAGE. Serviced here, Non-Smoker vehicle, CLEAN AUTOCHECK! KBB.com's review says "The MKZ feels more exclusive than a Lexus ES 350, more distinctive than a Cadillac ATS and more affordable than a loaded Mercedes-Benz C-Class.". Pricing analysis performed on 1/8/2019. Horsepower calculations based on trim engine configuration. Fuel economy calculations based on original manufacturer data for trim engine configuration. Please confirm the accuracy of the included equipment by calling us prior to purchase. CLIMATE PACKAGE Heated Steering Wheel, Windshield Wiper De-Icer, Heated Rear-Seats, Rain Sensing Wipers, Auto High Beams, ALL-WEATHER FLOOR MATS, ENGINE: 2.0L GTDI I-4 (STD), TRANSMISSION: 6-SPEED SELECTSHIFT AUTOMATIC paddle shifters (STD). CLEAN AUTOCHECK! Pricing analysis performed on 1/7/2019. Horsepower calculations based on trim engine configuration. Please confirm the accuracy of the included equipment by calling us prior to purchase. LOCAL TRADE! CLEAN AUTOCHECK! Superb Condition. JUST REPRICED FROM $27,995. Moonroof, Heated Leather Seats, Nav System, Power Liftgate, Panoramic Roof, Turbo Charged Engine, Hitch, CLASS II TRAILER TOW PACKAGE (3000 LB. CONTINUOUSLY CONTROL DAMPING (CCD) SU. LINCOLN MKC TECHNOLOGY PACKAGE: Adaptive Cruise Control & Collision Warning, brake support, Active Park Assist, Forward Sensing System, Lane Keeping System, CONTINUOUSLY CONTROL DAMPING (CCD) SUSPENSION, CLASS II TRAILER TOW PACKAGE (3000 LBS): trailer sway control, WHEELS: 19" PREMIUM PAINTED ALUMINUM: Tires: P235/45R19, ENGINE: 2.0L ECOBOOST: (STD). .
Edmunds.com explains "On long highway journeys, the MKC feels smooth and relaxed. And thanks in part to a standard active noise-cancellation system, it's also very quiet.". GREAT MILES 10,100! Heated Leather Seats, Sunroof, NAV, Power Liftgate, Panoramic Roof, Turbo, CARGO UTILITY PACKAGE, CLIMATE PACKAGE, WHEELS: 21 PREMIUM PAINTED ALUMINUM, ENGINE: 2.7L V6 ECOBOOST. ENGINE: 2.7L V6 ECOBOOST 3.16 Axle Ratio, WHEELS: 21 PREMIUM PAINTED ALUMINUM Tires: 21 All-Season, REVEL AUDIO SYSTEM W/13 SPEAKERS & HD RADIO subwoofer, auxiliary input jack and Sirius Satellite Radio (48 contiguous states), Service not available in AK/HI, CLIMATE PACKAGE Heated Steering Wheel, Heated Rear Seats, Automatic Rain-Sensing Wipers, Auto High-Beam Headlamps, CARGO UTILITY PACKAGE cargo compartment w/reversible mat and power converter 110V power outlet, Molded Plastic Storage Bins, spare tire vanity cover under cargo floor, Rear Cargo Management System, liftgate scuff plate, cargo net and 2 chrome cargo tie-down hooks, Interior Cargo Cover. Lincoln Reserve with White Platinum Metallic Tri-Coat exterior and Cappuccino interior features a V6 Cylinder Engine with 335 HP at 5500 RPM*. Front Wheel Drive, Heated Seats, Rear View Camera, 33 MPG on the Highway, Remote Start. 2016 Lincoln MKZ that is super comfortable to drive and has great handling/ maneuverability characteristics! Everyone stays comfortable with Dual Zone Automatic Climate Control, Rear Air Vents and Heated Front Seats. The driver seat has a 3 position memory switch so 3 different drivers can program their own settings. The radio is equipped with AM-FM-Sirius Satellite Radio-CD player and the SYNC system with USB and SD Card inputs along with Bluetooth Connectivity. All Wheel Drive, Moonroof, Heated Seats, Rear View Camera, 31 MPG on the Highway, Remote Start. The steering wheel is power tilt and telescoping.